A Perfect Saturday Morning | Where do we go now? Starts with clean counters and a will to bake. Bust out the KitchenAid mixer and give it a whirl. This past Saturday, was probably one of the very few times in a very long while, that I actually cleaned as I baked. What a concept. I started with a Chocolate Guinness Cake for Jon Boy’s birthday. However, someone decided to be a do che and not answer my text asking when to deliver said cake. Therefore, my friends had to eat it after Oktoberfest. Darn, it was scrumptious and they were all grateful. Do you love how the top looks like the frothyness at the top of a fresh pint? Great huh? 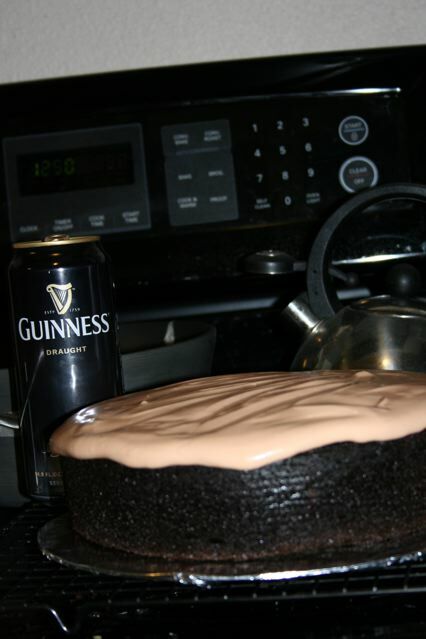 Well, I even died the frosting to match more of a Guinness froth, and sprinkled Castor sugar on the top to add a little sparkle, plus, it created this nice little bit of crunch when you bit/cut it and helped the frosting stay more together until devoured. 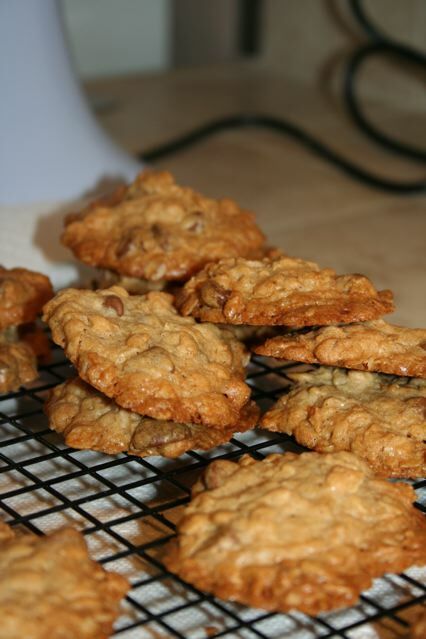 Secondly, I’m currently in the hunt for an Oatmeal Chocolate Chip cookie that is both delicious and Pretty. I don’t want them to get too flat, so the edges look crisp, not what I’m wanting. Anyway, these were pretty good the next day, but straight out of the oven, they were not chewy enough. I have packed the leftovers into a cute pink box to take to my craft meeting tonight. I do not need extra cookies laying around my house. Did you know I’m pushing 197!!?? Ridiculous! That’s what I have to say. Oh, and Abby recommended Home Cake, which was amazing and well worth the mess that’s in there. The lady is super friendly, and super educated. I suggest you go. You can read more about it here. ← Isn’t She a Beaut?